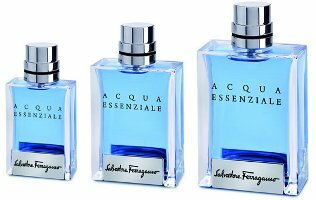 Salvatore Ferragamo will launch Acqua Essenziale, a new fragrance for men, in February. The aromatic fragrance was developed by perfumer Alberto Morillas; notes feature mint, lemon tree leaf, geranium, rosemary, lavender, cascalone (aquatic note), patchouli, vetiver, cistus and helveltolide musk. Salvatore Ferragamo Acqua Essenziale will be available in 30, 50 and 100 ml Eau de Toilette and in matching grooming products. Ugghhhhhh….there is nothing “essenciale” about another Acqua fragrance. I LOVE! MUST BUY INSTANTLY!